Visible and Infrared satellite imagery taken from camera systems or radiometer instruments on satellites in orbit around the poles. Satellite campaigns include NIMBUS, TIROS, ITOS, ESSA, ITOS, and NOAA. From their low-earth orbits, these satellites produced quadrilateral-shaped images that could be stitched together to form composite images of larger areas of earth. The collection includes composites in Mercator and Polar Stereographic projections as well as Conic projections of North America and the United States. Image files are created by scanning hard-copy prints, 10"x10" negatives and microfilm held in the NOAA archives. Period of record for available imagery is August 1964-March 1985. Cite this dataset when used as a source. Contact NCEI Customer Support to request images not available through Ev2. Dataset landing page with general information and access links for the dataset. A fully digitized version of POES ESSA/NOAA data is available from this link. Note: this only contains the POES ESSA/NOAA subset from 1966-1978. Purpose In the late 1990s NCDC realized the need to host digital images of weather and climate records on the internet. As a result, EV2 was developed as a key system for providing access to the millions of original source data images in the NCDC archives. With its upload and index capability, EV2 also enables the continuation of NCDC's commitment to make more of its weather and climate data available online so that users across the world can view climate and weather records held in the NCDC archives. In most cases, electronic downloads of the data are free, however fees may apply for data certifications, copies of analog materials, and data distribution on physical media. Lineage Statement Limited scanning activities at NCDC contribute to the image repository. Partnerships with other NOAA line offices and international weather services have contributed to the broad and global nature of digitally imaged records available from the NCDC. Rationale: To digitize collection in order to make available online. In March 2019, a joint project between NSIDC and NCEI led to a drastic increase in the number of images available to the public. Thousands of images were scanned, quality-checked, and documented. Rationale: To digitize collection and improve accessibility and usability for other users. 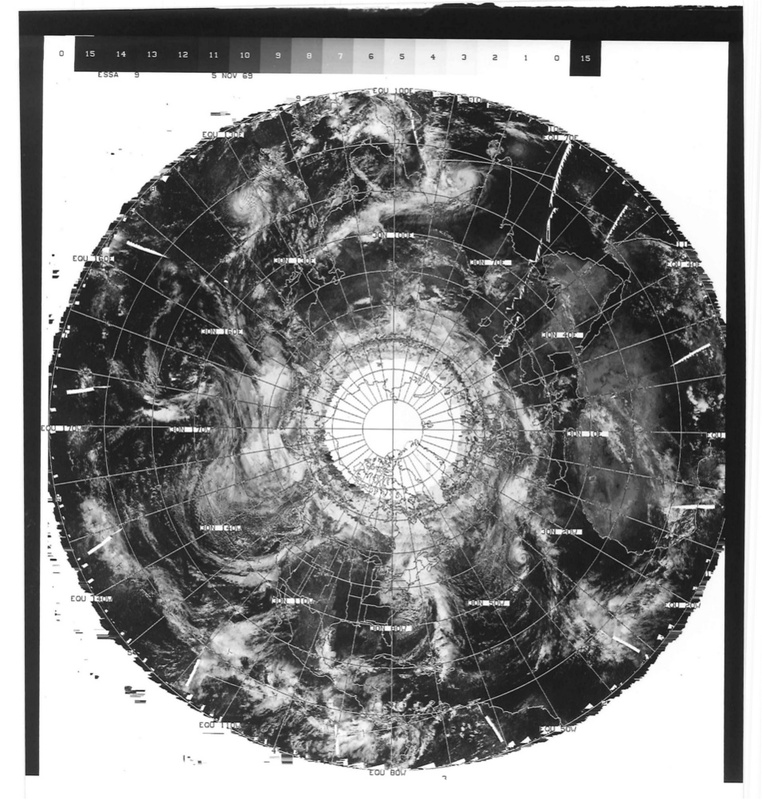 A netCDF version of this dataset was created from this project (see NOAA Polar Orbiting Satellite (POES) Global Visible and Infrared Band Data from ESSA (1966 - 1972) and NOAA (1972 - 1978) Satellites in NetCDF format). Processing Environment Paper forms and negative images captured digitally using various types of scanning equipment. All forms should be scanned using a minimum of 300 dpi (standard archive quality). Description of Source: Sub-collection. Visible data available from 1966-12-01 through 1978-03-31; infrared data (day/night) is available from 1972-12-01 through 1978-03-31.